When it comes to the hair-raising urban adventures that feed the soul of Marrakech, everyone is in agreement that some kind of respite is needed – and the more luxurious the better. Look no further than the über-chic pad of Riad Farnatchi which ticks all our boxes here at Black Tomato. 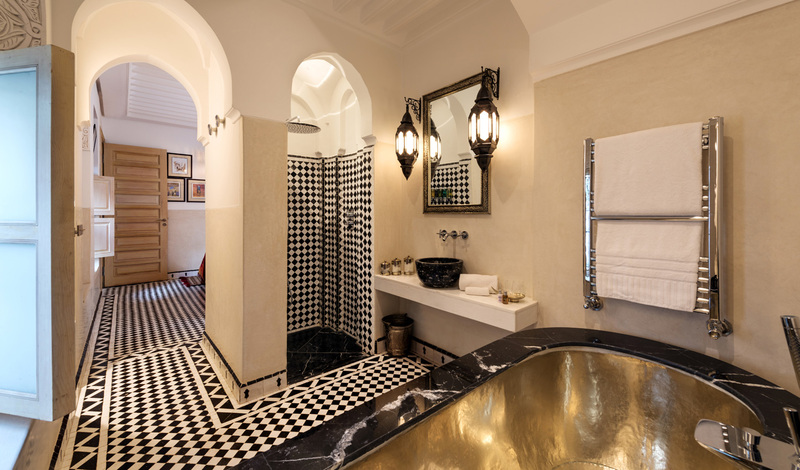 Originally made up of three separate riads, now converted into one urban boutique-chic riad, you’ll feel loath to leave this Moroccan inspired sanctuary. Exquisite interiors crafted to create maximum comfort, blending the traditional with the modern, coupled with authentic touches here and there, all help create an ultimate holiday haven. Centred in the pulsating heart of the Medina, Riad Farnatchi is in the middle of all the action. Located on a lively cobbled street with an unassuming wooden door, once you’ve stepped through you’ll feel as though you’ve warped to another world where time has slowed down and peace and tranquillity reign. With the knowledge that you’re five minutes from the souks and ten minutes from Djemma al Fna, Riad Farnatchi gives you a prime location for visiting the best of the best in Marrakech. With only nine individually styled boudoirs, you will feel like you’ve got the run of the place. Whether it’s a romantic weekend away or a culture-vulture whistle-stop tour, you will most definitely feel like you’ve returned to your home away from home. All suites come with stylish interiors that would be hard to trump. Minimal decoration emphasises the statement artwork that can be found throughout. Subtly installed with all the latest mod-cons, choose from either the romantic red suite (no. 5) or our favourite olive green suite (no. 3), with its large sweeping balcony and views of the gorgeous courtyard and pool. And that’s not all; this suite has a large granite sunken bath to soak in. Pure bliss. The staff at Riad Farnatchi really are the stuff of holiday dreams. As if dissolving into the walls, you will be waited on hand and foot without ever feeling concerned that you’ve overindulged. 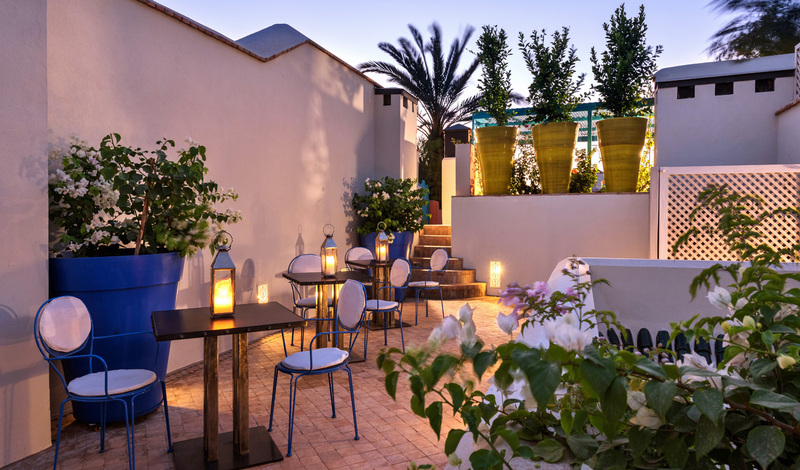 In addition, the breakfasts are a treat not to be missed- try the home-made traditional Moroccan flatbread alongside scrumptious eggs that can be eaten in bed or on your private terrace- mouth-wateringly yum. An exquisite white marble hammam, freely available for all guests, is a great way to round your day off. Wander back to your room in your complimentary cream coloured kaftans and Marrakech’s comfiest tasselled babouches. Honestly, what else could you ask for?